Many of us have played “bubble popping” games on our phones. Let’s face it. They’re fun. Everyone likes to match up colored bubbles. It’s cathartic. 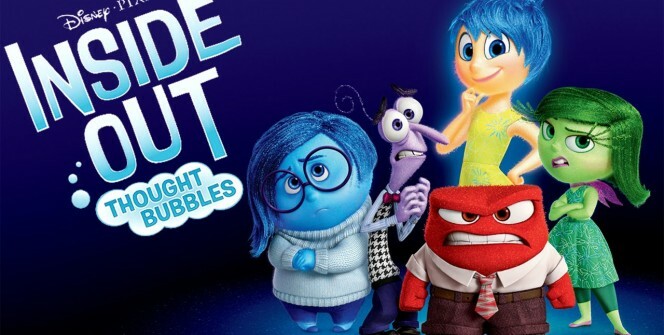 When you put bubble-popping together with Disney’s latest hit movie Inside Out, you’re in for a pretty cool game-break. 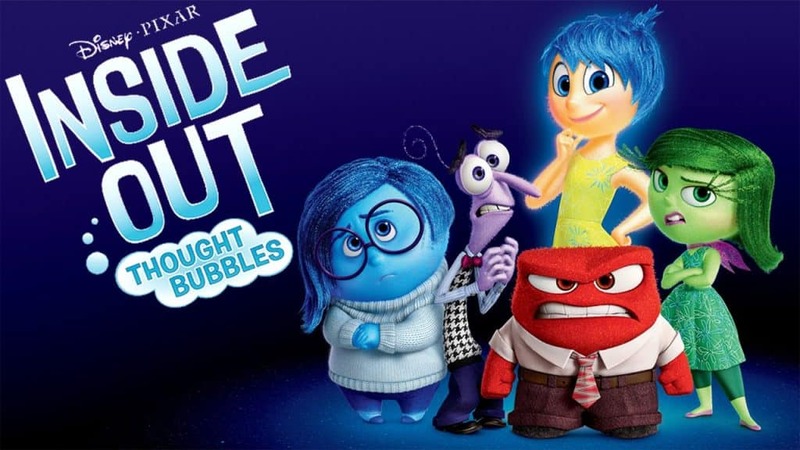 Welcome Inside Out Thought Bubbles for PC. Set as “memories” each color bubble corresponds with your favorite emotion. Whether you put the game on your PC or phone, well, let’s just say things get a little interesting. Here’s what we found when we tried the game out. 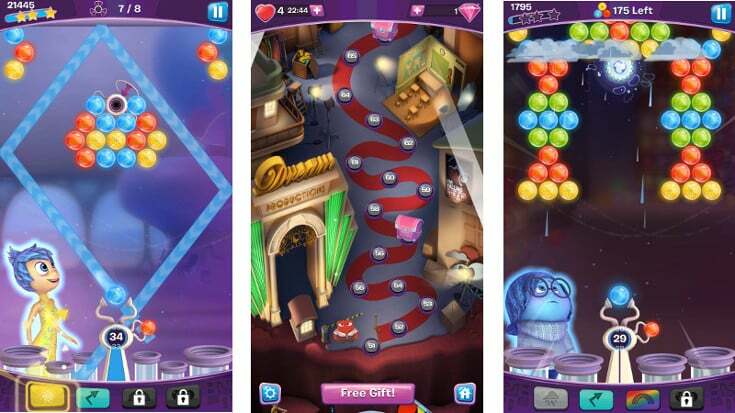 Inside Out differs from most bubble-shooter games. As you level, you get to choose your hero. The hero you choose determines how successful you will be for each level, as each emotion comes with individual “skills”. Gold bubbles are memories of Joy, while blue ones represent Sadness. The game is continually being further developed, and while you can’t play as every emotion currently, you can pick from some of the more popular ones like Joy and Anger. Once you’ve chosen your hero, and your special abilities, you’re free to blast away with a limited number of bubbles to try and clear the stage. Of course there will be obstacles along the way. Once you get the hang of it though, you’ll find it’s rather easy to clear the ice bubbles and work around those pesky stone bubbles, too. Will you get one star or three? It’s up to your level of skill. Of course, there are micro-transactions you can make to help bolster your success. For a few dollars, you can purchase boosters that do everything from helping you aim your bubbles to allowing you to choose what color bubble you want to appear next. It is possible to play the game for free, however. Cruise your way up a linear map through the different islands of the mind for an astounding 175 levels of fun. Can adults enjoy this game, too? Well, we won’t tell anyone that you play! Sometimes when playing Inside Out Thought Bubbles, bluestacks ask you fee to pay but gives you option to download some apps. Every time it asks you just select “Install apps” and continue using it free. I hope you enjoyed this guide, please rate and share. If you have problems running Inside Out Thought Bubbles on windows or any other issues, leave a comment below.